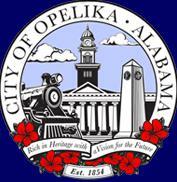 Opelika Speaks From Experience: Support Local Authority! Opelika has offered FTTH to residents and businesses for less than six months but already it is singing the praises of local choice. Mayor Gary Fuller is now speaking out in an opinion piece in AL.com, encouraging the FCC to allow Wilson, Chattanooga, and other communities to have the same opportunity as Opelika. Cities have always been at the heart of economic expansion, entrepreneurialism, and local connection to citizens, charged with ensuring high-quality education for our children, caring for our sick and elderly neighbors, and laying the foundation for shared prosperity. As we look to the years ahead, high-speed broadband will only become more and more important to the quality and vitality of our community. That's why in Opelika, I led the charge to become the first city in Alabama to offer this cutting edge technology, both to residential and business customers. As a result, Opelika citizens now have access to fast, reliable broadband speeds that will turn possibilities into real opportunities. Businesses now have more opportunities to expand and grow, work more effectively and efficiently, and compete in a larger market. The important fact is that every city must have the power to make the best decisions for their residents, free of interference. That's why the Federal Communications Commission should join Chairman Wheeler in preserving these two communities' right to self-determination. In Opelika, our citizens are building a stronger more prosperous city based on local Internet choice. If more cities have those same opportunities, someday soon it may not be so strange for a 30,000-person city to offer blazing fast Internet. Check out Opelika's recent marketing videos and listen to Chris interview Mayor Fuller back in Episode #40 of the Community Broadband Bits podcast.